The start of the harvest season is here! We have kept our planting this year to peppers (sweet and hot), corn, tomatoes, strawberries, herbs and peas. Well, some experiment lettuce as well. And a couple of new berry bushes. And while everything else is still just getting going in growth, our peas are flourishing! Which is great, since they are basically leftovers from last year and a few plants that grew where The Mr threw some seeds. Hardy plants are they. And don't they have beautiful results? I should have a tomato or two this week, and maybe some strawberries. Possibly some hot peppers. 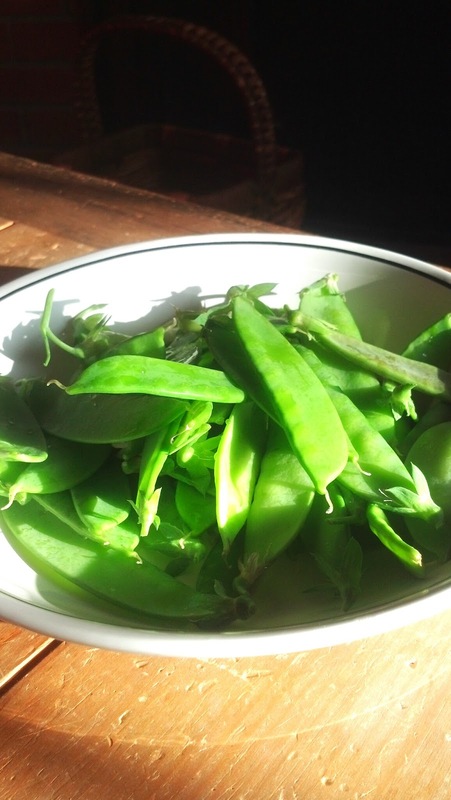 And I think more peas - yum! Love peas! any way they come except canned! 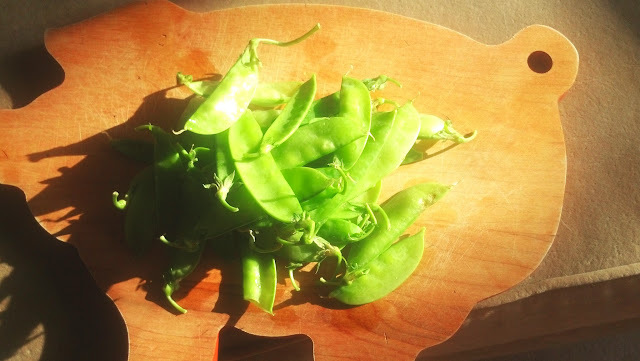 Our crazy winter weather, helped by a a couple of rabbits did in most of my peas, but there is always next year!